Funny story, the other day I was at a new doctor, filling out the forms. They asked my nationality. I needed two lines! On my mom’s side, I’m Italian, German, French and Lithuanian. On my Dad’s: Irish and English. Why am I telling you this? It’s pertinent, don’t worry. See, I got my dad’s Irish skin. It borders on ghostly pale. When I was a goth chick in high school, I didn’t need much makeup to accomplish the vamp look! I also have my grandmother’s Italian hair. Dark, thick and wild. On top of my head, that’s great! On my arms, not so much. I’ve always been REALLY self-conscious about the dark hair on my arms. When I was a teenager, I actually tried shaving it off. Not an easy or fun feat. Not only did it look totally shaved, which brought more attention to it, but it came back in thicker! When the opportunity to try out Jolen Creme Bleach came up, I almost passed on it. I’ve never had a problem with dark hair (or any hair) on my face. Then I read that it can also be used for other parts of the body and decided to give it a try. I got a great package with Jolen Creme Bleach, Jolen Sensitive Creme Bleach and a super cool Conair LED Mirror. I just received my package a couple of days ago and haven’t had a chance to try it out yet. I had some issues with my son and the school last week and an ear infection (seriously, what 39-year-old woman gets an ear infection? I didn’t even get them when I was a baby!). I’ll give you an update on how it goes as soon as I have a chance to try it out. Even though it only takes 10 minutes to do, it was just one of those weeks. Be happy I found time to shower! Then again, you could very well be on the other side of the country, so it doesn’t matter to you if I showered. I did to a little spot test, just to get ahead of the game. I did it in an inconspicuous spot on my upper arm. I have sensitive skin, so I wanted to make sure I wouldn’t have a reaction. I love that Jolen actually has a Sensitive Formula for people like me. Even the regular formula is gentle on skin. I didn’t have any issues at all. I’m confident it will be just the solution I need, especially since Jolen is celebrating 50 years of being THE go-to hair-lightening solution! Jolen is great for bleaching hair on the lips, cheeks and chin area. It’s also good for the arms, thighs, stomach and other body parts (just not your girly parts, keep it away from the pubic area). Did you know that many women even use Jolen Creme Bleach to lighten eyebrows to match a new hair color and to streak their hair to keep a sun-kissed look? I’m thinking about giving the hair streaking thing a try! I’m usually scared to bleach my hair, but just one streak may be cool. Jolen, the world’s #1-selling bleach is celebrating 50 years in the beauty aisle! Of course, a celebration like that needs a giveaway, don’t you think? You’re in luck, because Jolen has a fun giveaway going on right now! 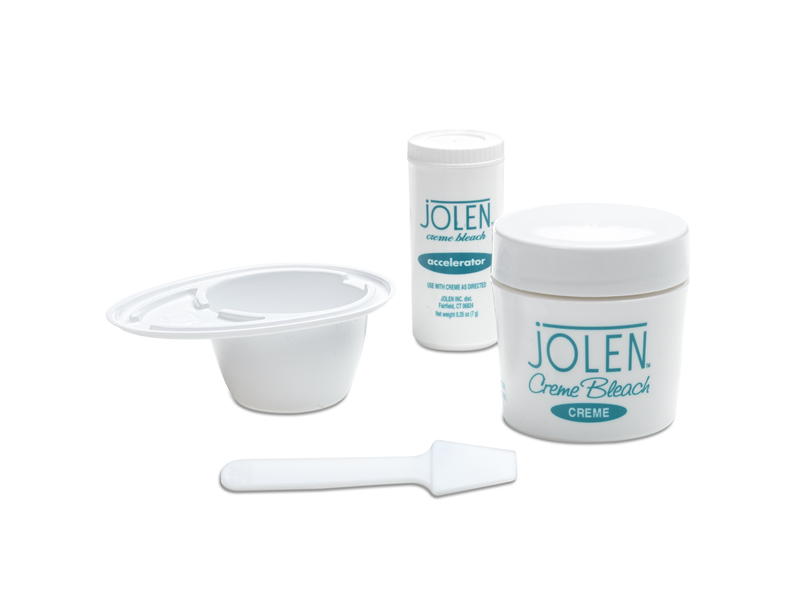 Now through November 14, 2014, enter the Jolen 50th Giveaway for a chance to win $50 gift cards to Jolen retailers, as well as Jolen Creme Bleach product. More than 50 winners! To enter, visit http://bit.ly/1uW7JwJ. LIKE Jolen’s new Facebook page for glam, giveaways and beauty tricks from celebrity makeup artists! 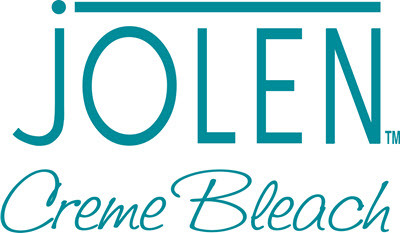 Jolen Creme Bleach formulas can be found in stores nationwide, including CVS, Harmon, Rite Aid, ULTA, Walgreens and Walmart, as well as online. Stay connected to Jolen for offers, giveaways and the latest in beauty tricks from celebrity makeup artists at http://www.facebook.com/Jolen. Great product! I use it all the time. This is such a good idea. I don’t spend much time in the sun, either by my choice or the weather’s choice. I’m in the ghostly pale category, too. Inherited my father’s abundant arm hair. It’s not too dark, but the color with the volume is a bit much. I’d shaved it when I was little, too. Might check this out.